Donald Trump’s latest interview with the Wall Street Journal, in which he took aim at Beijing’s “One China” policy, is raising concerns over a trade war with China. Already aggravated by Trump’s existing anti-trade positions, China now says that, should our next president move against the policy, they will be forced to “take off the gloves”. If Beijing makes good on that threat, it could mean big changes for the U.S. economy. The trade relationship between China and the U.S. is an integral part of the global economy, but Trump feels the existing structure unfairly puts the U.S. at a disadvantage. Therein lies the crux of the issue. Trump wants to step in and level the playing field, but doing so could cause a dangerous retaliation from China. Trump has advocated for stronger protectionist trade measures against China from the beginning of his campaign, primarily through increased import tariffs. But his idea of an increase isn’t exactly conservative. Just weeks after his election win, he proposed that the current import tariff on Chinese goods – currently just 3% – be raised to a whopping 35-45%. Now, Trump is going after the “One China” policy, which views the two governments of mainland China and Taiwan as a single entity. The policy has inherent economic benefits for China, and Trump’s threat to oppose it is “strike two” against preventing a trade war. 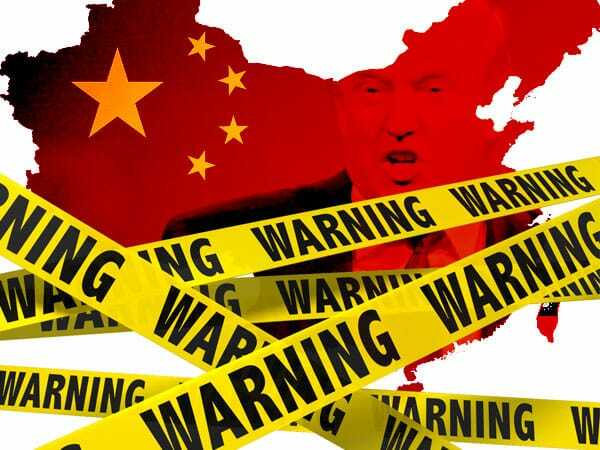 After initially remaining relatively silent regarding Trump’s anti-trade sentiments, Chinese state media has recently issued some searing responses to his latest comments, saying China would “take the gloves off” if he keeps pushing. Now we’re left with two crucial questions: Will Trump stand firm against China? And if he does, what will China’s counter-strike do to the U.S. economy? Does the U.S. Have More to Lose in a Trade War? The eruption of a trade war would be destructive for both the U.S. and Chinese economies. But who has the most to lose? According to federal census data, for the past five years, the U.S. has consistently maintained a yearly trade deficit of over $300 million with China. That means that American companies could lose hundreds of millions in business if China gives U.S. imports the cold shoulder. As of now, the likelihood of a trade war is difficult to gauge. Everything depends on whether or not Trump pulls back, how much opposition he gets from his administration, and if China makes more threats of retaliation. One thing is for certain, something is brewing between the U.S. and China, and a fallback to the status quo isn’t likely. It’s the degree of severity behind whatever comes next that Americans should be thinking about. One benefit to understand is this: the bigger and more destructive the fight becomes, the higher precious metals will likely climb. Given the inverse relationship that gold has historically had to the U.S. market, trade war is likely good news for the value of the yellow metal, and for those who own it. Be warned, though. The best time to buy protection is before things take a turn for the worse. Waiting too long could prove to be a costly mistake.